With the 2016 NASCAR championship fast approaching, the big dogs are getting ready to hunt at Phoenix International Raceway. Sunday’s Can-Am 500 at PIR is the third and final race in the Chase for the NASCAR Sprint Cup Round of 8, which will determine the four drivers who will race for a championship next weekend at Homestead-Miami Speedway. Jimmie Johnson and Carl Edwards have locked themselves into next week’s title race, and two more drivers will clinch spots on Sunday. Fastest among the 40 drivers at PIR was Martin Truex Jr., who had a best lap of 135.476 miles per hour in the No. 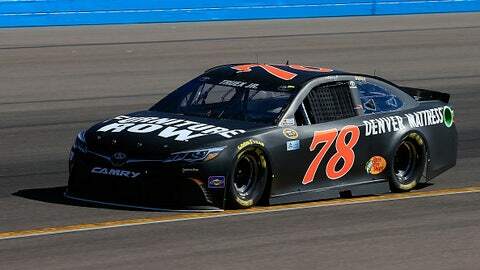 78 Furniture Row Racing Toyota. Right behind Truex came Team Penske’s Brad Keselowski at 135.410 mph. Truex and Keselowski have four wins each, but both were knocked out of the Chase by engine failures at Talladega Superspeedway last month. 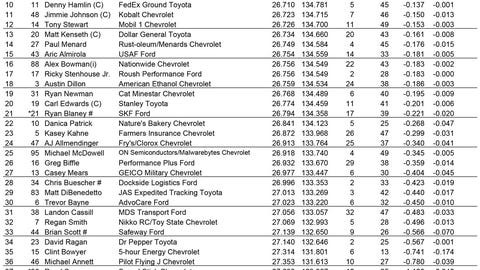 Chip Ganassi Racing teammates Jamie McMurray and Kyle Larson, two more drivers no longer in the Chase, were third and fourth, respectively, in the 55-minute practice, with Keselowski’s teammate, Joey Logano, completing the top five. Kevin Harvick, winner of five of the last six Cup races at PIR, ended the practice in sixth, the same place he qualified. The final Happy Hour round of practice will take place at 6 p.m. ET. Check out Saturday's complete Practice 2 results below.